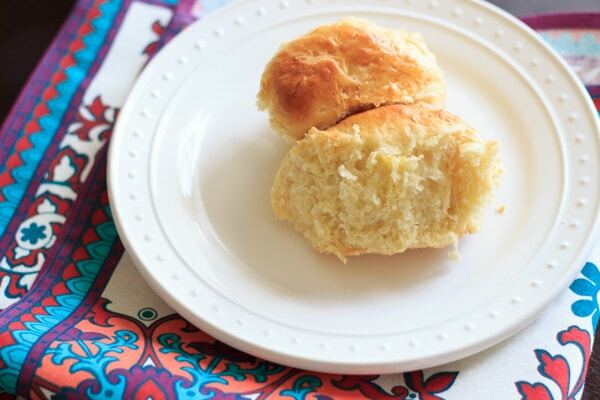 Sweet hawaiian bread – copycat version of King’s Hawaiian rolls! Growing up, I loved when my mom would buy Hawaiian bread from the store. Not sure if it was because they cost a little more than regular bread, or because I ate them so fast (probably a little of both), but I remember they were a special treat in our household. The rolls were so soft and sweet, the whole bag was gone in no time! Fast forward to grown-up land, and I don’t even remember the last time I’ve bought Hawaiian bread. Somehow it had slipped off my radar that this even existed, probably to the benefit of my overall carb intake. I had a moment (likely a pinterest-inspired moment, as is common these days) where I saw them referenced and knew I would have to add it to my baking list. The “trials” count for this recipe totaled to 3. The first time, this happened – it didn’t look or taste at all like Hawaiian bread (or any type of bread, for that matter), it was flat and hard and pretty bad. The second time turned out a little better, but as you can see below it still didn’t rise very much and didn’t exactly resemble the fluffy bread I remembered fondly. This time it actually tasted pretty good, though (I added milk and honey). So I changed a couple more things around and made rolls for my third try. EUREKA I got Hawaiian rolls! The secret to the sweetness is pineapple juice! But the secret to yeast bread is warmth, so this time around I made sure to warm the liquids to help the yeast rise. There seem to be a lot of copycat recipes out there that use ginger, but since I don’t really care for ginger I didn’t try that. If you have, please let me know how that works! 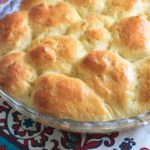 If you make some of this Hawaiian bread and want to share it with me (visually, not literally) I’d love to see them on Instagram! Just tag it with #trialandeater. Or comment below and let me know how it went! Hopefully you can benefit from my trials and enjoy these rolls on the first try. 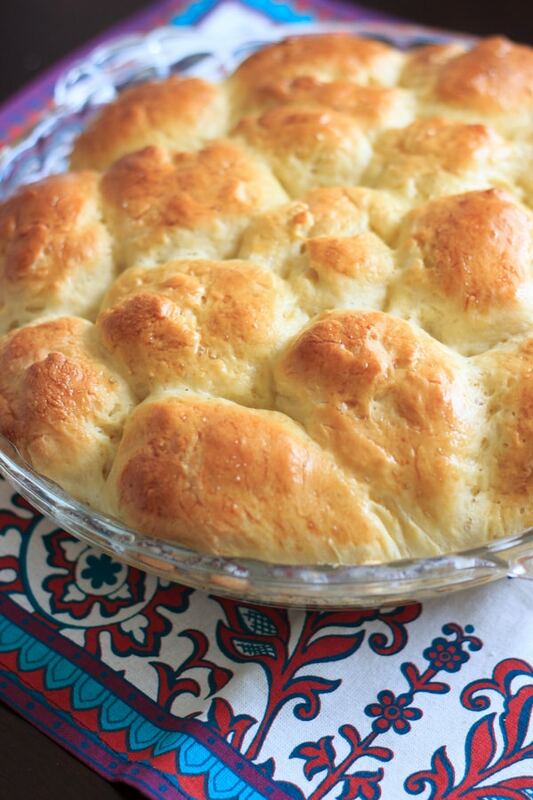 Sweet hawaiian bread - copycat version of King's Hawaiian rolls! 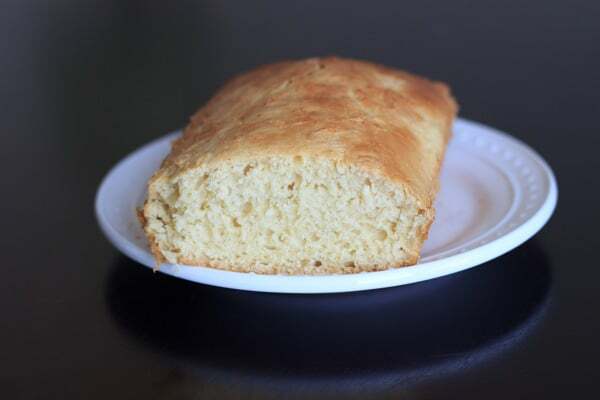 Pineapple juice adds the sweetness to this fluffy yeast bread. In a large mixing bowl or stand mixer, add the flour, yeast and sugar. In a microwave safe bowl, add the pineapple juice and milk and warm in the microwave for 20-30 seconds. Add the liquids to the flour mixture. Add the honey, melted butter, and 1 egg to the mixing bowl and combine. 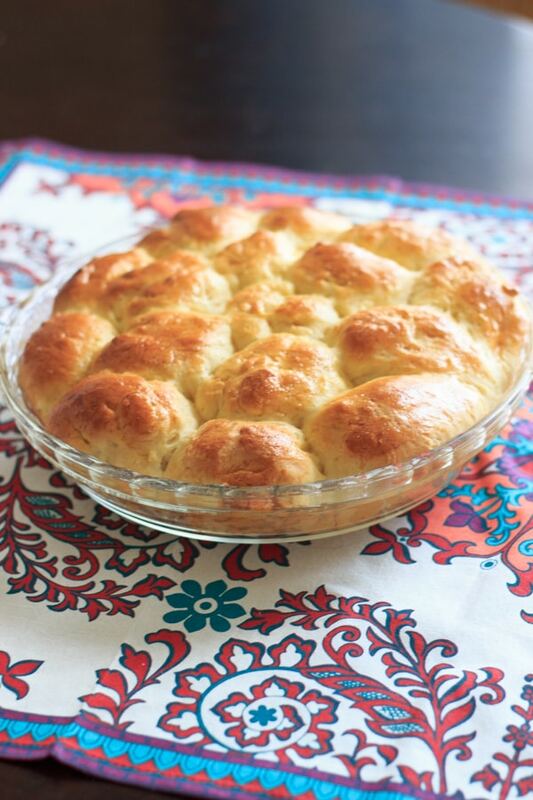 Once ingredients are just combined, lightly flour a surface and knead the dough for 5 minutes. (Or you can use a kneading hook in your stand mixer.) Add a little more flour if needed if the dough is sticky. Place back in the bowl, cover and let rise in a warm place for 1 hour or until doubled. Separate dough into balls (should make about 16) and place in baking dish. Let rise for an additional 30 minutes. Use remaining egg to brush tops of rolls so they will brown in the oven. Bake at 350°F for 23-27 minutes or until golden brown. Serve warm or store in airtight container in fridge for up to a week. If you like this recipe, sign up for email updates so you never miss a post! This looks amazing! I love seeing your trial and error process 🙂 Good recipes take work! Thank you Medha! I’m glad you like to see a little of the background testing. I always feel like everyone else gets it right the first time! I haven’t heard of Hawaiian bread before, but it sounds wonderfully sweet with the honey and pineapple juice. It’s sooo good! 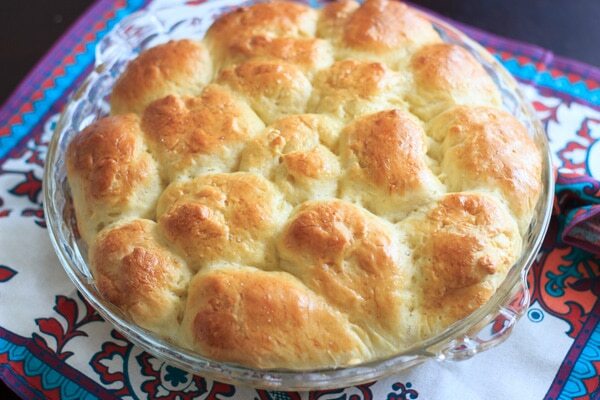 Please let me know if you try this sweet bread Dannii! Oh my gosh, these look amazing! I love Hawaiian bread… especially for french toast or mini ham sandwiches. Love the idea of making it from scratch!! Ahh! Hawaiian bread french toast?! You just changed my life. Wow this looks good! It would be delicious with a cheese or spinach dip. Really nice entrée to bring to a dinner too. I love the idea of eating it with spinach dip! I’m going to have to try that, thank you Marc!